I hope everyone enjoyed the Masters this past weekend. Patrick Reed displayed some great putting over the four days at Augusta. Congratulations to him on his first Major victory. Unless you traveled South, that is about as close to golf that us here in Northern Michigan can get. Frustrating to say the least, but it does look like we will see some snow melt this week combined with a rain/mix going into the weekend. Our golf maintenance equipment returned today from winter repair. We can’t wait to get the first cut in on the greens. That will take place as soon as they are clear and can handle the traffic. Our new fleet of golf carts will be delivered next Tuesday, straight from Augusta, maybe they will bring the warmer weather along with them. 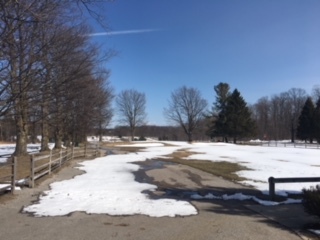 Once we are able to get out onto the course again we will give an update on a possible opening date. We are not giving up on April as of yet, although any more significant snow accumulations will certainly diminish those chances. Think WARM! Mother/Father nature has not been kind to us this Spring. Just when we thought we would be looking at an early April opening, we received a few inches of the white stuff. As of today (April 2) with snow still on the ground and another Winter storm watch in effect from Tuesday 8am until Wednesday 8am. We just can’t catch a break! We will continue to keep you informed of an opening date as soon as we see the weather cooperate. Keep Thinking Spring! Membership pricing will go up again as of April l5th, if you still want to get a price break. 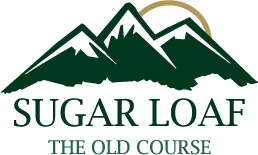 In addition, check out our new Sugar Loaf Value Plus Membership, it is a great deal to receive 20% off your golf with cart all season long. Available now in our online store. Don’t forget it’s Masters Week! Who are you putting your money on this year? https://golftheloaf.com/wp-content/uploads/2017/05/0-16.png 0 0 Sugar Loaf The Old Course https://golftheloaf.com/wp-content/uploads/2017/05/0-16.png Sugar Loaf The Old Course2018-04-02 11:12:302018-04-02 15:56:48Northern Michigan Weather! !